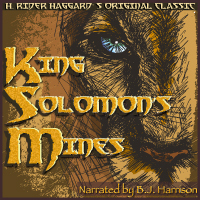 Legends tell of an unknown, hidden country where King Solomon's treasure is secreted. Many have searched for Solomon's diamonds and have never returned from their mysterious journey. Sir Henry Curtis' brother was lost on just such an adventure. Now, with a secret map, a regal guide, and the aid of Allan Quatermain, the renowned safari hunter, a group of 3 Englishmen journey to a secret land of witch doctors, warriors, and ancient mysteries. This is one of the best-selling novels of the 19th century, and has inspired countless adventure stories, including the Indiana Jones movies and Edgar Rice Burrough's Tarzan series. It's an adventure epic you won't want to miss! Choose whichever format works best for you! From Anonymous of Grantsvile, Utah on 5/26/2017 . Bloodier than expected, the narration as usual is perfectly done by BJ. 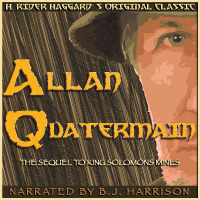 It is THE precursor to Alan Quartermain. From Cindy Calafaty of Knob Noster, Missouri on 4/28/2017 . The story is classic, the performance exceptional. An excellent adventure from an era we will never replicate. From Marc Moshman of Silver Spring, Maryland on 4/13/2017 . Finding a treasure of ancient origin, of fantastic proportion, is a dream of many. Usually, aging relegates the dreams to dark corners that rarely receive light. But for some, these dreams are acted on, even today. This is the story of three men who acted on this dream for varying motives, and the story is captivating and extremely well read. From Andrew of Walnut Creek, California on 3/29/2017 . 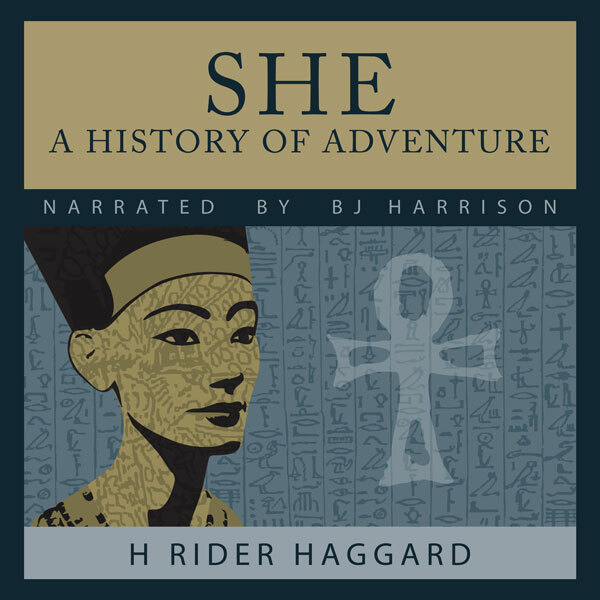 This is a terrific adventure story, complete with physical hardships, wild animals, war, intrigue, hidden treasure, and even a bit of a forbidden love story. 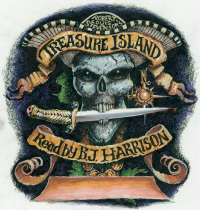 All is read with amazing skill and clarity by Mr. Harrison, as usual and wonderful. One needs to consider the era when encountering some blatantly racist and sexist attitudes expressed in the book, but it is not as bad as it might have been on that score. Overall, I find it quite riveting and a pleasure to hear the story. From Jonathan Rodwell of St. Albans, United Kingdom on 2/4/2016 . Simply another BJ Classic - What more can I say?